Several Columbia alumni are up for an award at this year's Tonys, set for Sunday, June 10 at Radio City Music Hall in New York City. Ahead of the event, which celebrates the best of the year in Broadway theater, read up on the talented and artistic Columbians in the running for the prize. Artistic Director, La MaMa E.T.C. Read more about the Tonys, including how the voting process works, from Columbia School of the Arts. Did you know? 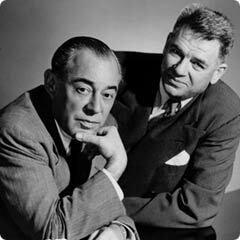 Todd Purdum, a contributing editor for Vanity Fair and senior writer for Politico, just published a book on the aforementioned Rodgers and Hammerstein, two of Columbia College's most notable alumni and the most famous duo in musical theater. Learn more about Something Wonderful: Rodgers And Hammerstein's Broadway Revolution, and hear from Purdum on NPR describing their legendary partnership.